New York (TADIAS) — Seventy two years ago, African Americans of all classes, regions, genders, and beliefs expressed their opposition to and outrage over the Italian invasion of Ethiopia in various forms and various means. The invasion aroused African Americans – from intellectuals to common people in the street – more than any other Pan-African-oriented historical events or movements had. It fired the imagination of African Americans and brought to the surface the organic link to their ancestral land and peoples. 1935 was indeed a turning point in the relations between Ethiopia and the African Diaspora. Harris calls 1935 a watershed in the history of African peoples. It was a year when the relations substantively shifted from symbolic to actual interactions. The massive expression of support for the Ethiopian cause by African Americans has also contributed, in my opinion, to the re-Africanization of Ethiopia. This article attempts to examine the history of the relations between Ethiopians and African Americans by focusing on brief biographies of two great leaders, one from Ethiopia and another one from African America, who made extraordinary contributions to these relations. It is fair to argue that the Italo-Ethiopian War in the 1930s was instrumental in the rebirth of the Pan-African movement. The African Diaspora was mobilized in support of the Ethiopian cause during both the war and the subsequent Italian occupation of Ethiopia. Italy’s brutal attempt to wipe out the symbol of freedom and hope to the African world ultimately became a powerful catalyst in the struggle against colonialism and oppression. The Italo-Ethiopian War brought about an extraordinary unification of African people’s political awareness and heightened level of political consciousness. Africans, African Americans, Afro-Caribbean’s, and other Diaspora and continental Africans from every social stratum were in union in their support of Ethiopia, bringing the establishment of “global Pan-Africanism.” The brutal aggression against Ethiopia made it clear to African people in the United States that the Europeans’ intent and purpose was to conquer, dominate, and exploit all African people. Mussolini’s disregard and outright contempt for the sovereignty of Ethiopia angered and reawakened the African world. Response went beyond mere condemnation by demanding self-determination and independence for all colonized African people throughout the world. For instance, the 1900-1945 Pan-African Congresses regularly issued statements that emphasized a sense of solidarity with Haiti, Ethiopia, and Liberia, thereby affirming the importance of defending the sovereignty and independence of African and Afro-Caribbean states. A new generation of militant Pan-Africanists emerged who called for decolonization, elimination of racial discrimination in the United States, African unity, and political empowerment of African people. Another of the most remarkable outcomes of the reawakening of the African Diaspora was the emergence of so many outstanding leaders, among them the Ethiopian Melaku E. Bayen and the African American John Robinson. Other outstanding leaders were Willis N. Huggins, Arnold Josiah Ford, and Mignon Innis Ford, who were active against the war in both the United States and Ethiopia. Mignon Ford, the founder of Princess Zenebe Work School, did not even leave Ethiopia during the war. The Fords and other followers of Marcus Garvey settled in Ethiopia in the 1920s. Mignon Ford raised her family among Ethiopians as Ethiopians. Her children, fluent speakers of Amharic, have been at home both in Ethiopia and the United States. The issues raised by Scott and the exemplary Pan-Africanism of Melaku Bayen are useful in establishing respectful and meaningful relations between Ethiopia and the African Diaspora. They dedicated their entire lives in order to lay down the foundation for relations rooted in mutual understanding and historical facts, free of stereotypes and false perceptions. African American scholars, such as William Scott, Joseph E. Harris, and Leo Hansberry contributed immensely by documenting the thoughts and activities of Bayen, both in Ethiopia and the United States. Melaku E. Bayen was raised and educated in the compound of Ras Mekonnen, then the Governor of Harar and the father of Emperor Haile Selassie. He was sent to India to study medicine in 1920 at the age of 21 with permission from Emperor Haile Selassie. Saddened by the untimely death of a young Ethiopian woman friend, who was also studying in India, he decided to leave India and continue his studies in the United States. In 1922, he enrolled at Marietta College, where he obtained his bachelor’s degree. He is believed to be the first Ethiopian to receive a college degree from the United Sates. Melaku started his medical studies at Ohio State University in 1928, then, a year later, decided to transfer to Howard University in Washington D.C. in order to be close to Ethiopians who lived there. Melaku formally annulled his engagement to a daughter of the Ethiopian Foreign Minister and later married Dorothy Hadley, an African American and a great activist in her own right for the Ethiopian and pan-Africanist causes. Both in his married and intellectual life, Melaku wanted to create a new bond between Ethiopia and the African Diaspora. 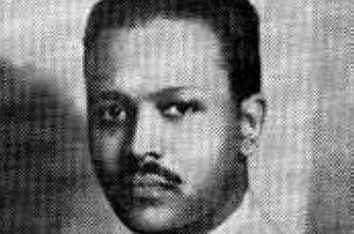 Melaku obtained his medical degree from Howard University in 1936, at the height of the Italo-Ethiopian War. He immediately returned to Ethiopia with his wife and their son, Melaku E. Bayen, Jr. There, he joined the Ethiopian Red Cross and assisted the wounded on the Eastern Front. When the Italian Army captured Addis Ababa, Melaku’s family went to England and later to the United States to fully campaign for Ethiopia. Schooled in Pan-African solidarity from a young age, Melaku co-founded the Ethiopian Research Council with the late Leo Hansberry in 1930, while he was student at Howard. According to Joseph Harris, the Council was regarded as the principal link between Ethiopians and African Americans in the early years of the Italo-Ethiopian conflict. The Council’s papers are housed at the Moorland-Spingarn Research Center at Howard University. At present, Professor Aster Mengesha of Arizona State University heads the Ethiopian Research Council. Leo Hansberry was the recipient of Emperor Haile Selassie’s Trust Foundation Prize in the 1960s. Melaku founded and published the Voice of Ethiopia, the media organ of the Ethiopian World Federation and a pro-African newspaper that urged the “millions of the sons and daughters of Ethiopia, scattered throughout the world, to join hands with Ethiopians to save Ethiopia from the wolves of Europe.” Melaku founded the Ethiopian World Federation in 1937, and it eventually became one of the most important international organizations, with branches throughout the United States, the Caribbean, and Europe. The Caribbean branch helped to further solidify the ideological foundation for the Rasta Movement. Melaku died at the age of forty from pneumonia he contracted while campaigning door-to-door for the Ethiopian cause in the United States. Melaku died in 1940, just a year before the defeat of the Italians in Ethiopia. His tireless and vigorous campaign, however, contributed to the demise of Italian colonial ambition in Ethiopia. Melaku strove to bring Ethiopia back into the African world. Melaku sewed the seeds for a “re-Africanization” of Ethiopia. Furthermore, Melaku was a model Pan-Africanist who brought the Ethiopian and African American people together through his exemplary work and his remarkable love and dedication to the African people. Another heroic figure produced by the anti-war campaign was Colonel John Robinson. It is interesting to note that while Melaku conducted his campaign and died in the United States, the Chicago-born Robinson fought, lived, and died in Ethiopia. When the Italo-Ethiopian War erupted, he left his family and went to Ethiopia to fight alongside the Ethiopians. According to William R. Scott, who conducted thorough research in documenting the life and accomplishments of John Robinson, wrote about Robinson’s ability to overcome racial barriers to go to an aviation school in the United States. In Ethiopia, Robinson served as a courier between Haile Selassie and his army commanders in the war zone. According to Scott, Robinson was the founder of the Ethiopian Air Force. He died in a plane crash in 1954. Scott makes the following critical assessment of Robinson’s historical role in building ties between Ethiopia and the African Diaspora. I quote him in length: “Rarely, if ever, is there any mention of John Robinson’s role as Haile Selassie’s special courier during the Italo-Ethiopian conflict. He has been but all forgotten in Ethiopia as well as in Afro-America. [Ambassodor Brazeal mentioned his name at the planting of a tree to honor the African Diaspora in Addis Ababa recently.] 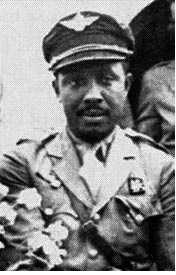 Nonetheless, it is important to remember John Robinson, as one of the two Afro-Americans to serve in the Ethiopia campaign and the only one to be consistently exposed to the dangers of the war front. John Robinson set the standard in terms of goals and accomplishments that could be attained by Pan-Africanists. Through his activities, Robinson earned the trust and affection of both Ethiopians and African Americans. Like Melaku, he made concrete contributions to bring the two peoples together. He truly built a bridge of Pan African unity. It is our hope that the youth of today learn from the examples set by Melaku and Robinson, and strive to build lasting and mutually beneficial relations between Ethiopia and the African Diaspora. As we celebrate Black History Month in the United States, let us recommit ourselves to Pan-African principles and practices with the sole purpose of empowering African people. The Ethiopian American community ought to empower itself by forging alliances with African Americans in places such as Washington D.C. We also urge the Ethiopian Government to, for now, at least name streets in Addis Ababa after Bayen and Robinson. Ayele Bekerie was born in Ethiopia, and earned his Ph.D. in African American Studies at Temple University in 1994. He has written and published in scholarly journals, such as , ANKH: Journal of Egyptology and African Civilizations, Journal of Black Studies, The International Journal of Africana Studies, and Imhotep. He is an Assistant Professor at the Africana Studies and Research Center of Cornell University. He is a regular contributor to Tadias Magazine. • Joseph E. Harris’s African-American Reactions to War in Ethiopia 1936-1941(1994). • William R. Scott’s The Sons of Sheba’s Race: African-Americans and the Italo- Ethiopian War, 1935-1941. (2005 reprint). • Ayele Bekerie’s “African Americans and the Italo-Ethiopian War,” in Revisioning Italy: National Identity and Global Culture (1997). • Melaku E. Bayen’s The March of Black Men (1939). • David Talbot’s Contemporary Ethiopia (1952). I’m an American-born African American and was really shocked when researching Colonel John Robinson, I could not find any information regarding him except that given by your publication. Colonel was the hero for my grandmother’s and mother’s generation and was related to my family by marriage. I’m so disappointed that I could not find any infomration in America’s websites and literation and I’m really glad that he and his accomplishment still exist through your accounts of African history (both African and Afican American) and I can glean this information for my children and granchildren. I shall endeavor on to find more biographical information about Colonel Robinson and if you should come across any more information, please do not hesitate to inform me of this. I’m thanking you over and over again. You can get more information about Colonel John C. Robinson in his biography called “The Brown Condor” written by T.E. Simmons. It is out of print but you can find it on amazon.com. I would also research the archives of the Chicago Defender newspapers. FYI – There is a school in Ethiopia named after him and he is buried in Gulele cemetary in Addis Ababa. I am spearheading a proposal to name an airport in Ethiopia after him for the Ethiopian Millennium. There is an organization in his hometown of Gulfport, Mississippi to honor his memory. There is also a scholarship fund for young student pilots in Chicago. Good luck in your important and appreciated effort collect and pass on to your family and others information about this extraordinary African American aviation pioneer and Ethiopian war hero. When I googled John Robinson from Gulfport..it said there was an organization in Gulfport to support him….then I didn’t see it in the article. Could you enlighten me? I work in a library on the Gulf Coast and we are trying to find out more about J.R. The case of Melaku Beyene is certainly one of the hidden Ethiopian classics that many Ethiopian in Diaspora like myself are not very much familiar with. Many thanks for Tadias and Ayele Bekerie for a good research and excellent presentation. Malaku Beyene was defintely a heroe in the 1930th.He is my heroe in the 21st century. I may be able to give you more information on Col John C. Robinson. You see I am 78 years young and from Gulfport, Missippi. I am also searching for information on John C. Robinson, including any photos of his gravesite in Ethiopia or any photos of him. Also can I get an address for Mr. Anthony Oliver Thomas? Great resource on Melaku Bayen. Some of the details about his education are a bit confused, however. I don’t believe he attended Marietta College, but was a student in the Muskingum Academy–a prep school associated with Muskingum College–in the 1920s. The yearbook has a picture of him in the senior class of 1924-25. I have been digging through the college archives trying to find more information about him, with little luck. We do have several Ethiopian Books, presumably a gift from Bayen, one of the other two Ethiopian students who attended in these years, or Selassie’s government, which sent them here. Shocking to discover there are actually some Ethiopians who identify with being BLACK Africans. All the Ethiopians I have met in the diaspora are offended when you call them Black Africans. Hats off to Melaku Bayen. I am director of the Robbins History Museum at 3644 W.139th ST. Robbins, IL 60472. On August 28,2010 (Saturday) We will be having our Grand Opening, the public is invited (Free Admision). Robbins, IL is the oldest Afr-Amr Municipality in the (Northern Half) of the United STates. John C. Robinson and Cornelius R. Coffey together built America’s first black owned, and Operated Airport in the United States in Robbins, IL. Our museum’s main exhibit will center around John C. Robinson’s Airport in Robbins. We are sister-museum to the planned John C. Robinson Museum in Gulfport, MS. We do have a lot of information about John C. Robinson. I am the great grand nephew of the brown condor. His mother, my great grandmother Celeste Cobb and his sister, Bertha Stokes. My grandmother always told stories about my uncle. It inspired generations of men and women in my family, yet many African American heroes have been forgotten and unsung. We need more research and educational dispursement of the thousands of African Americans who made a difference to the world and not just race.